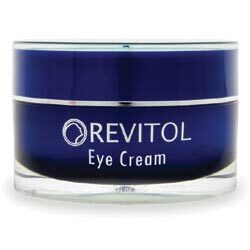 Pro Vitacare Eye Solution Review: Does This Eye Cream Really Work? About Pro Vitacare — Does It Really Work? This product is brought to you by Health Line Marketing LLC. The company does not maintain either an official company or product website. Based on third party reports, this company has received an “F” rating from the Better Business Bureau (BBB) which accounts for allegedly fraudulent transactions. Other than that, the lack of information about this company also makes it impossible to establish its track record in formulating and distributing anti-aging skin care, nor to establish its willingness to be accountable for results arising due to product use. Soothe and calm skin irritations and other signs of inflammation. 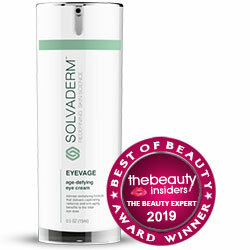 Enhance collagen production while speeding up the rate of skin repair and renewal. 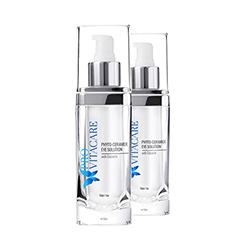 Boost your skin’s moisture content while simultaneously supporting the restoration of optimal hydration functions. Upgrade your skin’s natural protective barrier and improve protection and resistance to factors that cause skin damage and aging with the help of free radicals. With regular and long-term product application, your skin becomes smoother and brighter, and appears healthier and more youthful. What Are The Ingredients In Pro Vitacare ? Hyaluronic Acid: Gives your skin a moisture surge, this ingredient is a moisture magnet that instantly plumps your skin and helps keep it that way for longer periods of time. Peptides: Keeps cellular mechanisms involved in skin repair and renewal processes in sync so that delivery rates for restoring your youthful looking skin are significantly cut down and turnovers can happen more frequently. Botanical Extracts: Deliver multiple benefits to your skin, that includes skin conditioning and moisturizing, protecting, correcting, and even anti-inflammatory. Glycerin: Significantly plumps your skin, it gives your skin a moisture surge that keeps your skin comfortably hydrated for longer periods of time. Phytoceramides: Work to improve your skin’s natural protective barrier, it strengthens your skin’s resilience against external factors that cause skin damage and aging, including stress and UV. Pro Vitacare is recommended for twice daily application. Always throughly clear your eye area before applying this product. Pro Vitacare is lightweight and fast absorbing. This product will not leave your skin surface with a greasy residue and, thus, will stay in place under makeup. This product appears to have a limited availability and may not be available in most geographies. Pro Vitacare reviews indicate too many unsatisfied users. Does Pro Vitacare Have Any Side Effects? In the absence of a full list of ingredients, expect a high likelihood for side effects to occur when your decide to use Pro Vitacare Eye Solution. Take extra precaution when you are aware that you have sensitive or highly reactive skin. Pro Vitacare will have some of the common ingredients found in anti-aging creams. For which, exactly, it is difficult to point out what may be so special about this product that will warrant you to take a free trial offer and risk your credit card information at the same time. You should at least compare this with similar products.